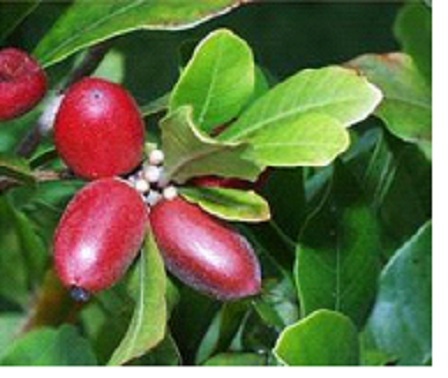 Matasabor is the Honduran common name given to Sideroxylon dulcificum. In English, matasabor means kill the flavor. And that's just what this plant does. It's called Miracle Fruit in much of the world because of its magical power to make sour things taste sweet. The berry itself is not sweet and it doesn't make sweet things taste sweeter.